Fliers traveling on American Airlines (AAL) with battery powered "smart bags" will have to play by new rules in 2018. Starting on January 15, the airline will require passengers checking luggage to remove the lithium ion batteries installed in so-called "smart bags" to reduce the risk of fire in the cargo hold. If the bag will be traveling in the cabin, the battery can remain installed as long as it is powered off, according to federal regulations. "If the battery cannot be removed, the bag will not be allowed," American said about checked luggage in a message posted Friday on its website. Electronically enabled luggage has grown in popularity as road-warriors opt to make their luggage useful beyond simply storing clothes. American spokesman Ross Feinstein said the airline has had no incidents with "smart bags," but said the airline's new rules are designed to align with the existing regulations. The Federal Aviation Administration has long-standing rules about lithium ion batteries in items like laptops and medical equipment. It requires spare uninstalled batteries to travel in carry-on baggage with the passenger. The FAA rules are designed to keep possible over-heating or short-circuiting batteries out of the cargo hold in case they catch fire. In the cabin they can quickly be reached by a crew member or a passenger in the event of an issue. Only U.S. airlines are subject to the FAA rules. American is the first airline to extend those FAA rules to smart bags. The other major U.S. airlines are expected to follow suit and the International Civil Aviation Organization has a working group among airlines and regulators to develop a broader standard. Separate from any federal requirement, American Airlines says it conducted its own analysis of the "smart bags" and decided to implement these new rules itself. "Smart bags" can mean a lot of different things. 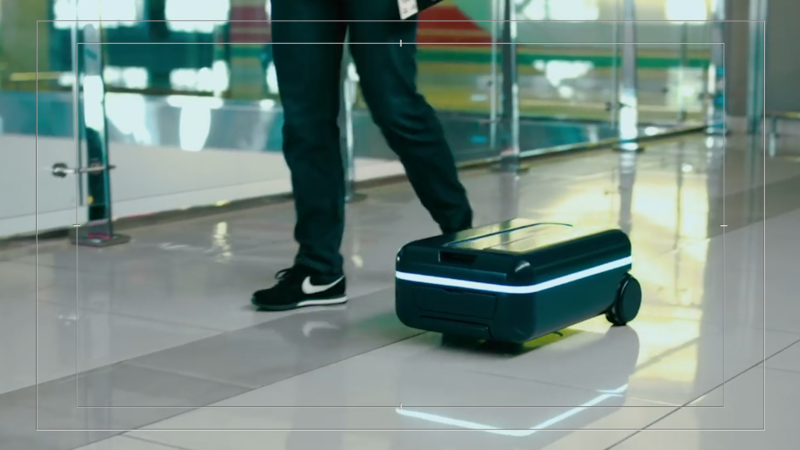 They include luggage doubling as a scooter or personal transportation vehicle, a suitcase with a power bank to charge electronic devices, a suitcase with a GPS locator or electronic lock or self-propelled bags that follow their owner.